The German city has been conducting seismic studies to use the heat under the earth’s surface. 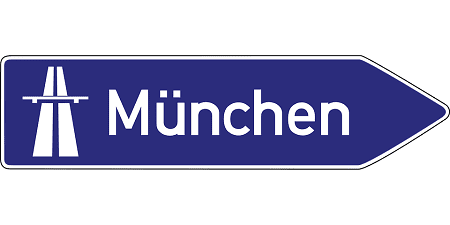 The large scale Munich geothermal energy plans have now been released for the city located in Bavaria, Germany. The city’s plans for the renewable energy as a heating source are quite ambitious. The Munich geothermal energy strategy goals involve a 2040 deadline. By then, it wants to become the first large city in the world to be heated by 100 percent renewable energy. Geothermal energy will be playing a considerable role in this sizeable effort. In Germany’s Bavarian state, the soil’s geological nature is almost perfect for this type of renewable energy source. This is particularly true in the region of the Southern German Molasse Basin which extends from the Alps to the Danube. The conditions look exceptionally promising, particularly as there is hot water at appropriate depths inside the ground. A great deal of the southern part of Bavaria appears to be ideal for the Munich geothermal energy project. The reason is that it is composed of layer upon layer of “Malm,” which is porous and highly permeable layers of rock. As a result, the project in Munich is far from the only one focused on geothermal power at the moment. In fact, projects have been popping up throughout the region for the last decade and a half. This one just happens to be the largest, considering the size of the city. These renewable energy projects have not been without certain hurdles. The first city to take on this technology was Unterhaching. That city combined the development of a power plant and the use of geothermal heat. That said, the outcome has been a strong one and the electricity generated has been adequate not only for that city, but it is also expanding its reach to provide for other local municipalities. The Munich geothermal energy initiative is taking the renewable source of electricity to a large city for the first time. Since last November, it conducted seismic surveys of the subsurface of the city. The next major step will be drilling, which will begin in 2018 and will extend to a depth of 4,000 meters (over 13,100 feet). Preparations for the drilling will begin in upcoming months.